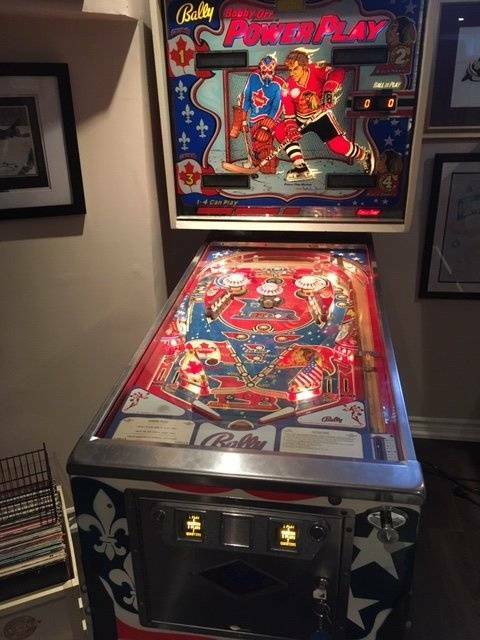 I have a Bally Power Play (Bobby Orr) pinball game which has a glitch At any point while playing the game the digital score lights go out. The play field remains lit but the targets etc are all dead.Sometime after a pause of a minute or two, the lights come back and the game goes into game over. Other times it doesn't reboot on it's own. i have to turn the game off. turn it on and it goes live but game over. It sometimes also takes out the high score data. Checking for power it has a solid 5.0 reading and nothing appears amiss.What's causing the power surge/blackout causing the digital score display to go blank? Here is a shot of the back boards. The blue tape was our id system to reconnect everything after moving the machine. We took the head off. There is slight erosion on the bottom of the one board from batteries which have been relocated by the previous owner. 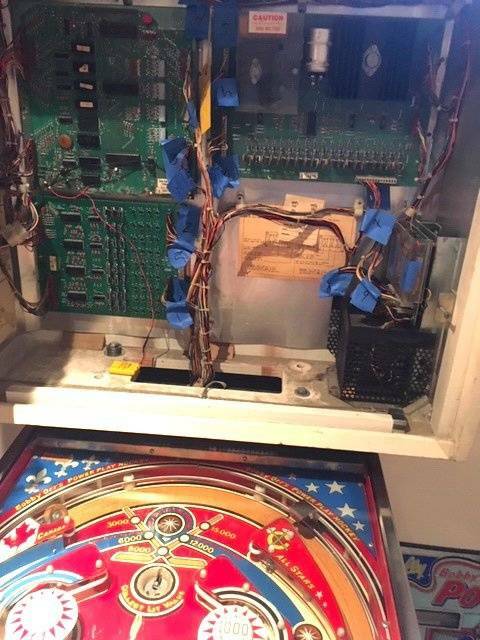 You should start by resoldering all the connector pins on all the boards. On the rectifier board by the transformer, do yo have burned connectors? If so you will need to rebuild that too. Looks like the original large filter capacitors on the power supply. I would replace those. Can't see from your picture as it won't allow for me to zoom in but be interested in seeing the area where the battery was. Looks to be corrosion which would be another issue you need to care for.